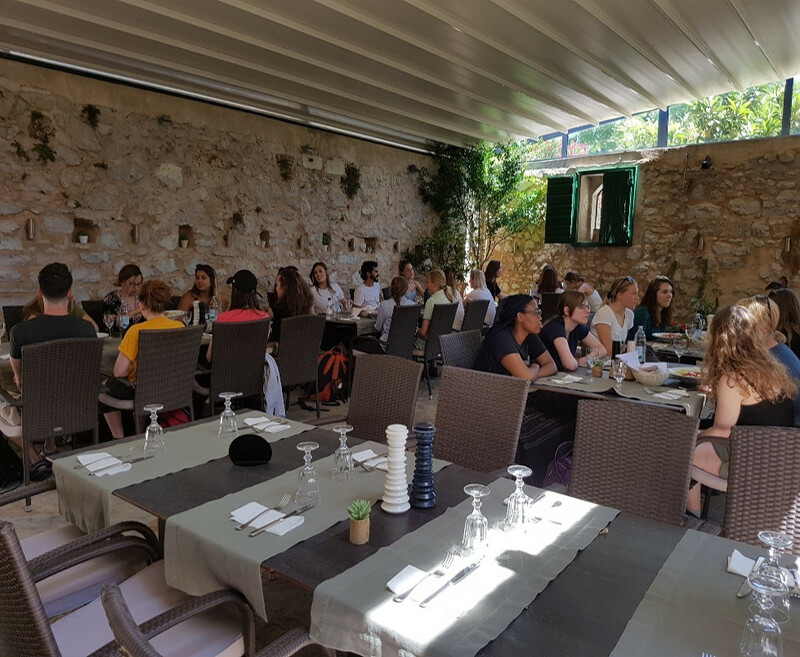 It is week one and our Research Assistants and group from the German School in Helsinki arrived in Split safe and sound. We boarded the bus to the research base at the terrestrial site but we would not go there straight away and on the way stopped off to visit Skradin. 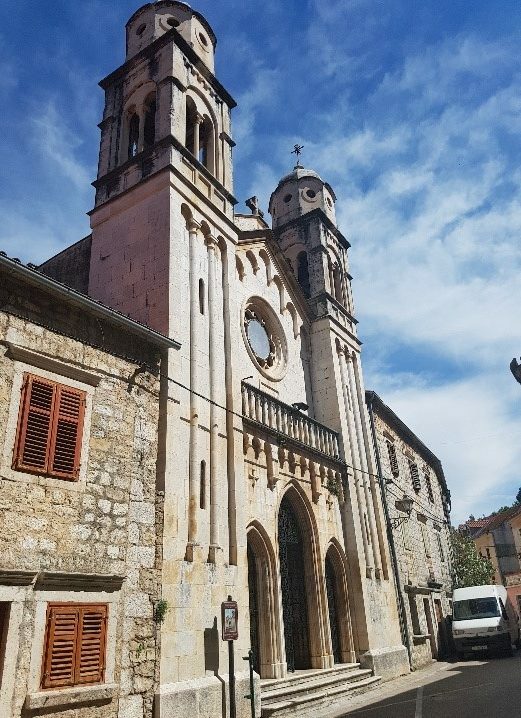 Skradin is a small town in the Šibenik-Knin County, in the north of Dalmatia and marks the gateway to the beginning of the Krka National Park where our research will be taking place. The entire town core represents a protected cultural monument. Upon arrival we ate a tradition Croatian lunch at the Cantinetta restaurant, our dishes ranged from the tradition stewed beef, marinated to within an inch of its life and cooked so slowly that it melted in the mouth to the Black Cuttlefish Risotto. Those who had chosen the risotto were rather alarmed and almost put off by its appearance, as ink from the cuttlefish is added turning the whole dish (and your mouth) black, however it tasted, they assured me, fantastic. Well fed and watered we embarked upon our adventure, we squeezed through the tiny streets, not easy for a group of 35! 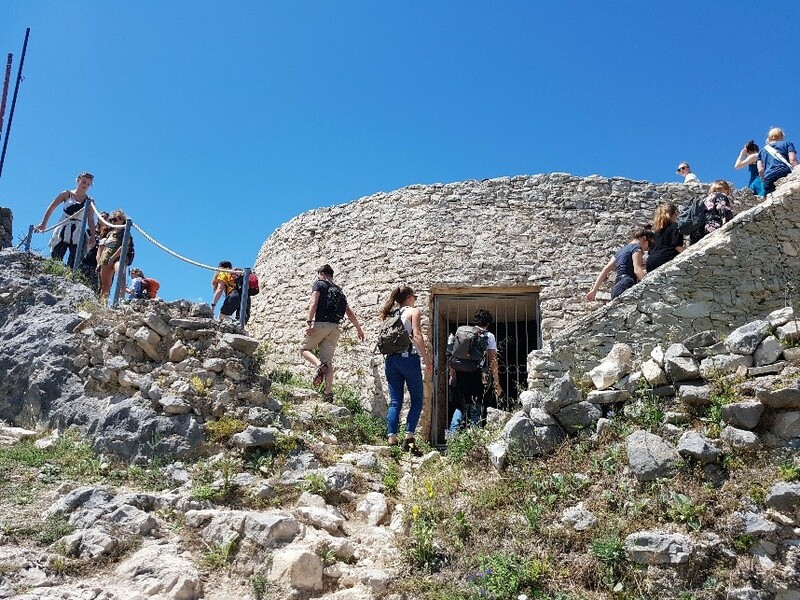 We were going in search of a 13th century fort constructed on the site of an ancient city from the liburnium period (as early as the 4th century BC). The climb was not an easy one and it seemed that we would never reach the top; we were encouraged to continue by a sign promising us that we were heading in the right direction. 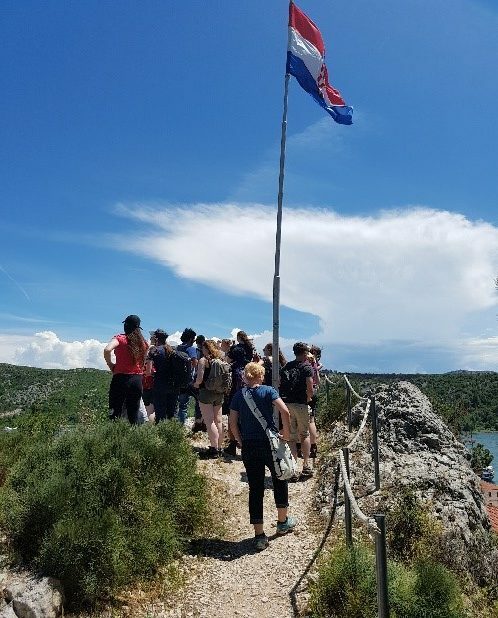 We reached the top of the hill and enjoyed the breathtaking view of Skradin and the Krka river all around us and after making the most of such an incredible photo opportunity we turned to see the fort perched on a hill behind us.The Opwall volunteers stormed the fort without hesitation and took it for their own! The view from here was even more sensational and many selfies were made! With the arrival of some tourists we decided it was best to get out of their way and head back down to the town. We had definitely earned an ice cream! The research assistants explored the narrow streets, taking in the rich history and soaking up the charmimg atmosphere, while the German School of Helsinki found the concrete beach and paddled in the river with the swans. A few of us managed to stop by the Serbian Orthodox Church of St. Spyridon which was built in 1868. Because of its cultural, historical and artistic value, St. Spyridon was previously protected as a cultural monument in Croatia. During the wars in the 20th century, the church was badly damaged, and all the icons, except the cross of the Crucifixion were relocated. In 2010 work began on an extensive restoration and conservation project, seeing many of the icons replaced or reconstructed. At the church I was greeted by a monk from the Krka monastery who told me that the church is now under the care of the monastery, which is located near our base in Kistanje and is the starting point for some of our survey transects. He also showed me bottles of the very fine wine made by the monks, however I politely declined his offer to try some at this time! By coincidence the conservation of the church was in part funded by the Cantinetta restaurant where we had eaten lunch. We ended the afternoon in the park, some were brave enough to attempt the zip wire while others preferred to rest on a bench and enjoy the scenery. 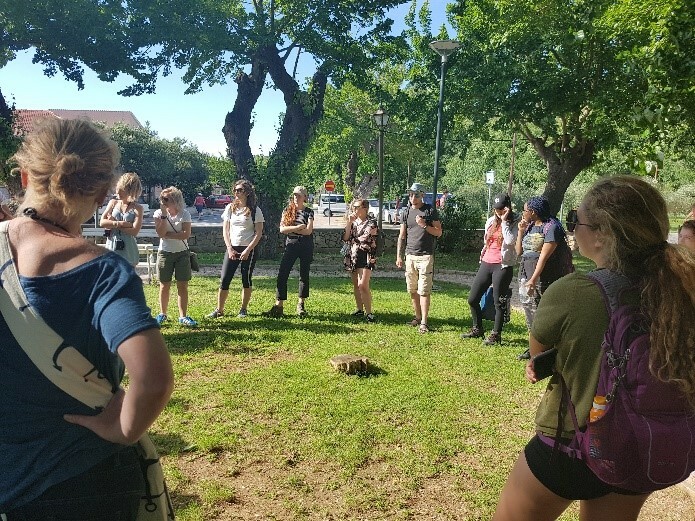 As the late afternoon sun watched over us and the famous Krka wind began to blow we played the name game before boarding the bus to the research base in Kistanje, all of us having enjoyed the relaxation before the real work begins!